Depeche Mode 1981. From left. Andrew Fletcher, Martin Gore, Vince Clarke, Dave Gahan. Yazoo 1982/1983. 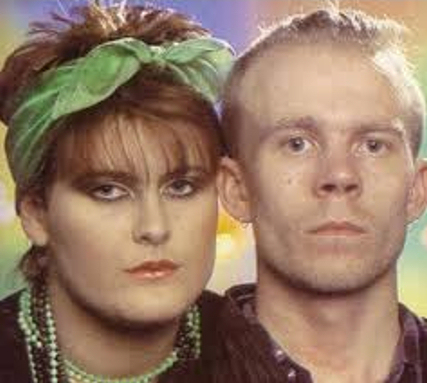 Alison Moyet and Vince Clarke. 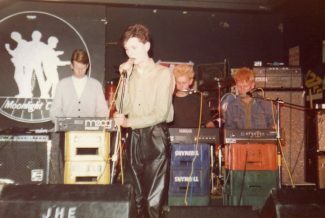 Depeche Mode at an early gig at the Moonlight Club. 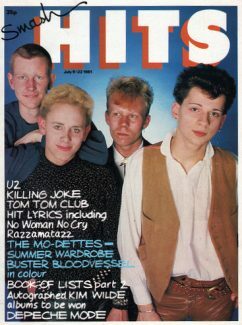 From left: Andrew Fletcher, Dave Gahan, Martin Gore, Vince Clarke. By kind permission of Steve Burton (A good friend of Andrew Fletcher). Erasure - formed 1985. 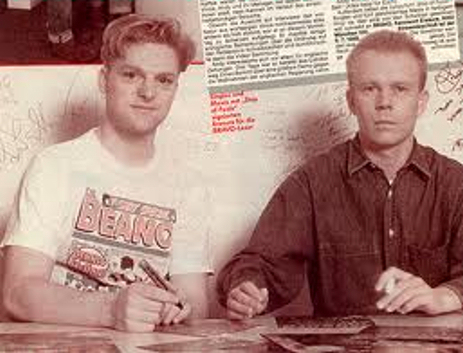 Andy Bell and Vince Clarke. The ‘Noteworthy People’ section wouldn’t be complete without Laindon’s electronic style groups ‘Depeche Mode’ and ‘Yazoo’. Depeche Mode was formed in 1980, three members of which lived in Laindon. Vince Clarke, Andrew Fletcher and Martin Gore. (The fourth member, Dave Gahan came from Basildon). All three lived in Lee Chapel North. Vince Clarke had lived at both 44 Shepeshall and 55 Mynchens. Andrew Fletcher lived in Woolmergreen, firstly at No. 69 and later at No. 101. Martin Gore lived at 14 Shepeshall. Vince Clarke and Martin Gore attended Blue House Junior School. Vince Clarke later went to Laindon School. Andrew Fletcher and Martin Gore both went to Nicholas School. Their hit single ‘Just Can’t Get Enough’, recorded in the summer of 1981, was the first of their songs to be set to video and released in the USA. 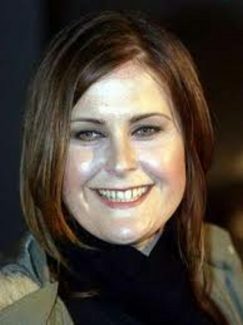 Vince Clarke left the group in December 1981 and went on to form ‘Yazoo’ in 1982 with Alison Moyet who had attended Markhams Chase Junior School and then Nicholas School. Their first hit single was ‘Only You’. They stayed together for 18 months and recorded two albums before Alison embarked on a solo career and Vince went on to form ‘Erasure’ with Andy Bell in 1985. All four Laindoners continue to be highly successful in the music world. In May 2012 a weekend reunion was held for ‘Depeche Mode’ fans, including an exhibition at Nicholas School and a bus tour of the areas where the group had lived and attended school. Many fans travelled from abroad to attend the event. The bus tour was such a success, that there are plans to run it again in the future. Vince Clarke’s real name was Vincent Martin. He had an older sister named Carol. Good news for Depache Mode fans. 2013 world tour announced. Andrew Fletcher and Martin Gore from Laindon together with third band member, lead singer Dave Gahan from Basildon, will be appearing at Docklands’ O2 Area on 28th May 2013. It’s sure to be a sell-out. A model/starlet who lodged in Laindon? Fabulous Strangers - who remembers them? John Henry Sims - Laindon Station Master 1926-1952. Stan Hollands 1922 - 1992.